If you weren’t already made aware by the thousands of purple balloon commercials and ads on TV and online, today starts Wayfair’s Way Day Sale! It’s the best time of year to by furniture and home decor! Today is the start of the Way Day sale at Wayfair! It’s essentially like Black Friday and Amazon Prime day rolled into one, but for home decor and other home items! Items are marked up to 80% off with free shipping sitewide. Since Wayfair’s site can be a bit overwhelming, today I’m sharing my top picks from the Way Day sale (which started at 12 pm Eastern today, hence the later than usual post). The sale is only 36 hours and I anticipate things will go quickly! This post isn’t sponsored but I wanted to share several of the items in our home that are on sale, as well as some other fun finds! Keep in mind there are also flash sales that are also happening the next 24 hours! I’ll be adding to my favorites but wanted to get the post up ASAP since a lot of flash sales already end in less than 6 hours! 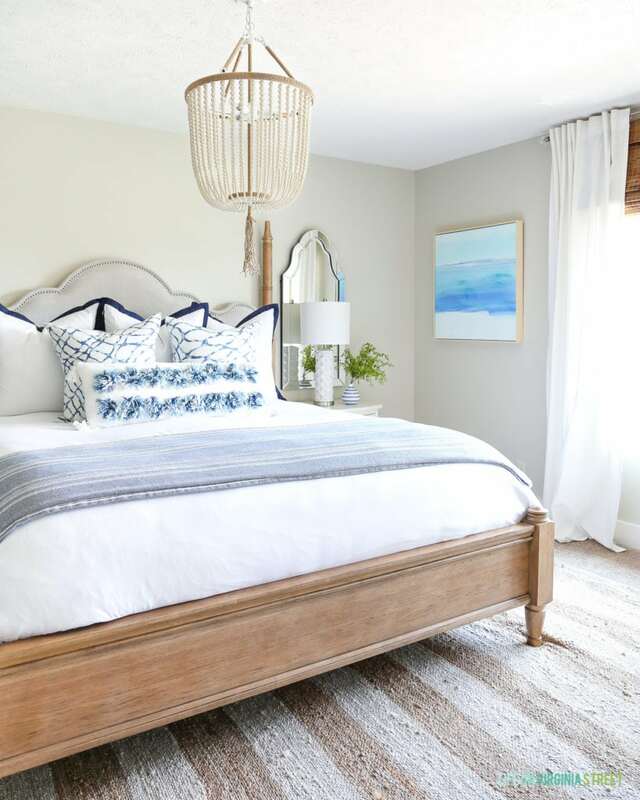 The beaded chandelier and striped rug in our guest bedroom are both majorly marked down. My favorite pendant lights are 45% off and the linear version (like our dining room light) is 60% off! We also have the slightly larger version in our mudroom and it’s currently 60% off. You can read my reviews and real-life photos on the finishes here. The flash sale on this bathroom vanity is a steal at 69% off! 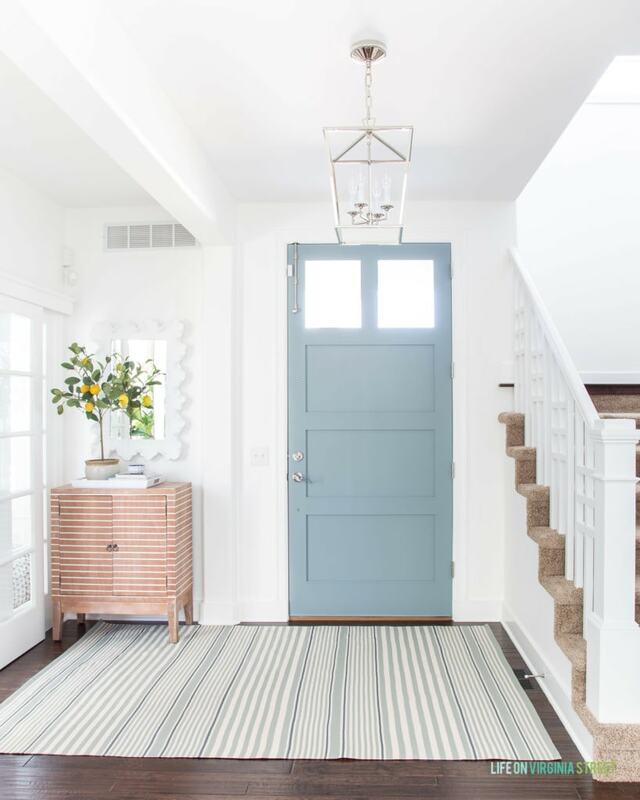 I’m obsessing over the pattern and the price on this rug! I’m in love with this vanity light fixture! The seafoam option is so good and looks like a bunch of options I’ve seen from Rejuvenation! This pair of lamps has been a long time favorite and the ones I always refer you guys to if you’re looking for ones similar to those in our office! The price is for the pair and they’re currently 69% off! Our outdoor rug that we’ve had for years now is 49% off for our size! It’s still going strong and I love the color combo! 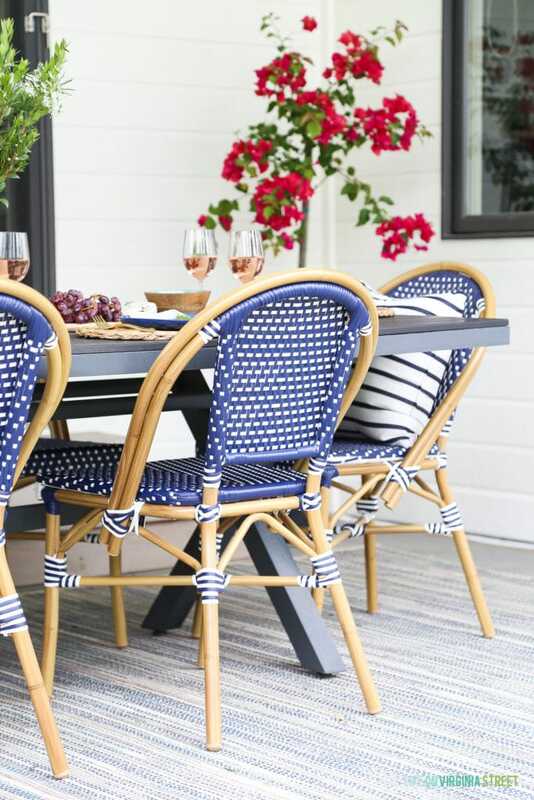 You can find similar bistro chairs on sale here. 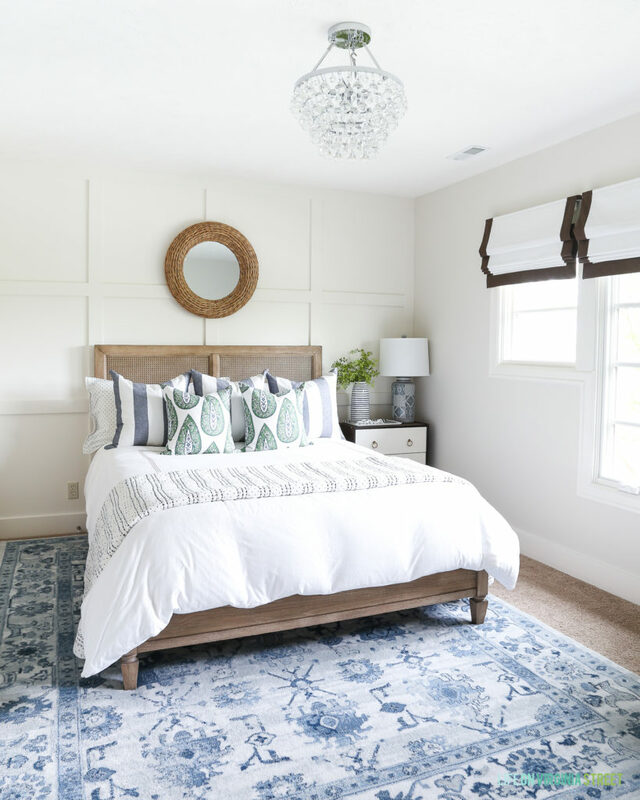 The blue rug we had in our guest bedroom is 47% off! The pattern and colors are one of my favorites ever! Our entryway cabinet is 57% off! Get all other sources here. 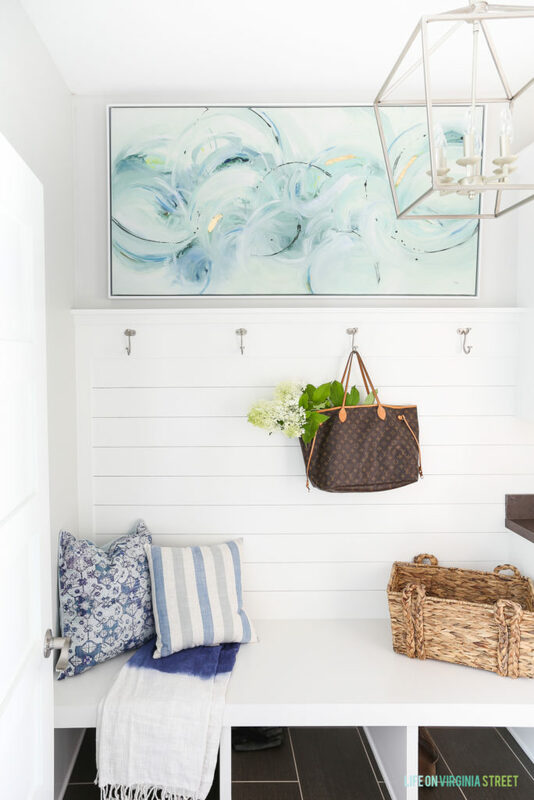 Following are my top picks for the 2019 Wayfair Way Day Sale. You can also check out Joss & Main and Birch Lane for even more Way Day deals! A few other sales you may want to know about that started today, as well! J CREW is offering 40% off all full-priced styles with the code REFRESH. You can shop their sale here. POTTERY BARN has started their Friends & Family sale with 20% off furniture and 25% off everything else, plus free shipping with code FRIENDS! You can shop their sale here. TARGET is offering a 2-day home sale with 30% off patio furniture and rugs online only. Plus, get $20 when you spend $100 with code SPRING. You can shop their sale here. WORLD MARKET is offering 20% off everything outdoors related with code 20OUTDOOR! You can shop their sale here.